We are a young brewery established in 2005, and it is the reason why we can do something others cannot. We are going to challenge ourselves to various things in order for more people to enjoy drinking our sakes. We keep the traditional brewing method to make supreme sake. 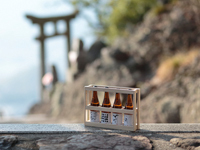 We are committed to revitalize the old brewing culture of Shodo-shima. In order to make the finest sakes, we need the finest “sakamai”, the rice suitable for brewing sake. 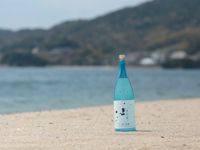 We are using great “sakamai” grown in the coastal area of the Seto Inland Sea, which lies in western Japan. 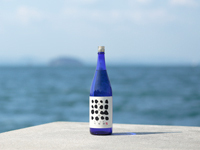 We are now trying to grow the premium “sakamai” on Shodo-shima. 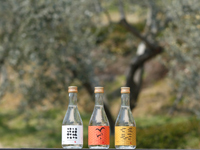 One of our ultimate goals is to produce a genuine local sake made of the local “sakamai”. 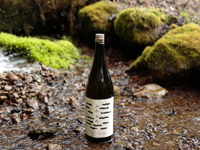 Our sake is brewed using the spring water of “Hosigajo”, the highest peak on Shodo-shima island. This water is blessed with minerals necessary for fermentation. We are appreciating the wonder of nature every day. Though we are a young brewery, we have the old traditional sake-making skills because we have a wonderful“Toji”. “Toji” is an expert in sake brewing regarded as a leader of the brewery workers. Our brewery’s “Toji” has won many prizes of the biggest competitions in Japan. He is one of the most excellent “Tojis” in Japan. We know the importance of maintaining and also improving the skills to provide the taste of genuine sake to every customer. 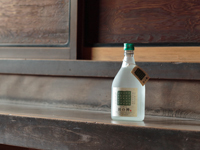 We are determined to continue to challenge ourselves to making ideal sake. From ancient times, the Seto Inland Sea has served as a key route for trade between eastern Japan and western Japan. Shodo-shima Island is located in center of the Inland Sea, and had flourished as an emporium. This island is blessed with spectacular natural environment, for example “Kankakei” known as one of Japan`s three major ravine. And also this island have long been a secret place for mountain worship and attracted many people. On the other hand, This island has been known as a famous production area of soy sauce, sesame oil, somen noodle, olive products, and so on. The town, surrounded by the sea and mountains, has also enjoyed rich food culture. Today, here is known as one of the few places, with history of old traditional Japanese cultures still being enjoyed to this day.